Fluffy, savory, and made in delightful variations, omelets have been a mainstay on diner and breakfast menus for generations. Whether you’re headed to the big city for a unique twist on the breakfast favorite or you’re looking for a small-town traditional variety, New York has an excellent selection. 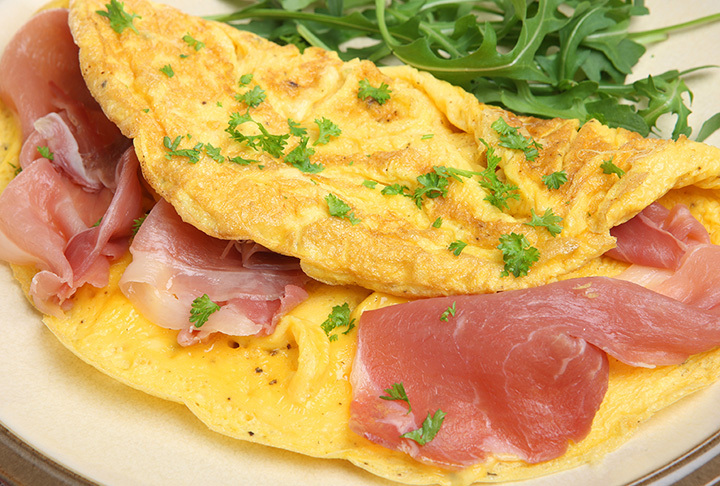 Here are the best places to order omelets in New York State. This French restaurant on the Upper East Side hosts a popular weekend brunch that includes two amazing omelet options—the Omelette Maison, with goat cheese, spinach, tomatoes, potatoes, and greens, and the Omelette Lorraine, with caramelized onions, aged Gruyere, bacon, potatoes, and greens. Clean, bright, and known for its delicious comfort food, Maureen’s Kitchen draws fans from miles around, and they all rave about the inventive omelet selection. It’s no wonder this breakfast place is considered one of the best on Long Island. This all-day breakfast joint is wildly popular with the locals, and that’s probably because of its create-your-own-omelet menu, which includes a two-egg omelet with your choice of over 40 add-ons. As a quintessential New York diner—think a narrow kitchen with cushioned stools and black-and-white floors—Johny’s Luncheonette looks unassuming, but the luncheonette’s chefs create some of the best omelets in the city, in simple flavors like Greek, Florentine, and Western. This classic chrome diner in Albany is the source of excellent diner fare late into the night all week long. As expected, the menu includes a selection of mouth-watering omelets and other egg dishes. Café Orlin’s artfully prepared omelets are serves with home fries, salad, and toast, which is the best combination of sides you could wish for. With ingredients like feta, dill, parsley, and scallions, the restaurant’s omelets do not disappoint. This cute creperie serves up some of the best breakfast to be had in Buffalo. The breakfast place’s menu includes tasty three-egg omelets with bacon, cheddar, and vegetables like mushrooms, asparagus, and tomatoes. With omelet varieties like Greek, Loaded Veggie, and “I Love Buffalo” (pepperoni, sausage, mozzarella, and hot pepper), Sophia’s is the place to be when Buffalo natives get an omelet hankering. This classic Catskills diner sources many of its ingredients locally, and is known for its dynamite egg dishes. The fluffy Phoenicia Diner Omelet is made with goat cheese, sautéed greens, and mushrooms.